Lisa Kessler | What is it about a Shifter? Lisa Kessler | Are you a Binge Reader? Lisa Kessler | Howl at the Moon � Happy Halloween! Lisa Kessler | What is it about a man with an accent? Lisa Kessler | Who Wants to Live Forever? 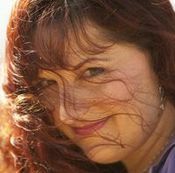 Her first novel, Night Walker, won a San Diego Book Award for Best Published Fantasy-SciFi-Horror as well as the Romance Through the Ages award for Best Paranormal. When she's not writing, Lisa is a professional vocalist, performing with the San Diego Opera as well as other musical theater companies in San Diego. Lisa lives in southern California with her incredibly fun husband and two amazing kids.